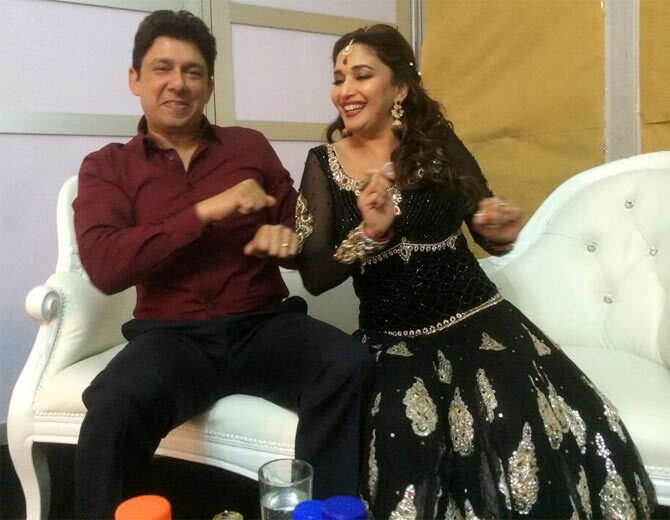 Madhuri and Dr. Nene! At the height of her fame in the late 90s, she visited family in America and they arranged for her to meet a nice successful young doctor. He had no idea who she was, had never even seen one of her movies, and she fell in love with him. The first 5 years of marriage, she was a housewife in Denver supporting his dreams, and the next 5 years he has been a supportive house husband and arm candy in India, supporting hers. Shahrukh and Gauri! First love for both, together since they were teenagers. After 7 years of dating, they won over her family and got married just before his first movie released. 27 years later, they have 3 kids, an enormous house, and multiple businesses, and seem as solid as ever. 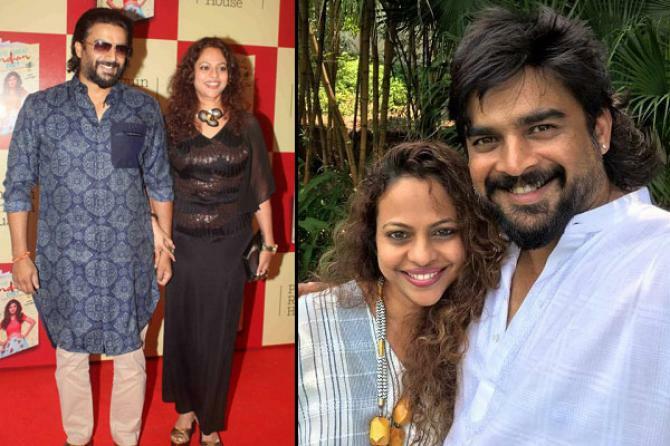 Madhavan and Sarita! At 21 after he graduated with a management degree and won an award for public speaking, he started holding seminars on public speaking and communications. Sarita attended one of them and used his tips to succeed in her job interview for a flight attendant and they started dating. 8 years later, they got married. He hit it big in the film industry shortly after and was quick to announce that he was married, opened all his fan mail with his wife present, and takes her on all his film shoots. For the first few years of their marriage, they lived in the same middle-class neighborhood where he had grown up in the same house as his parents, and her parents. 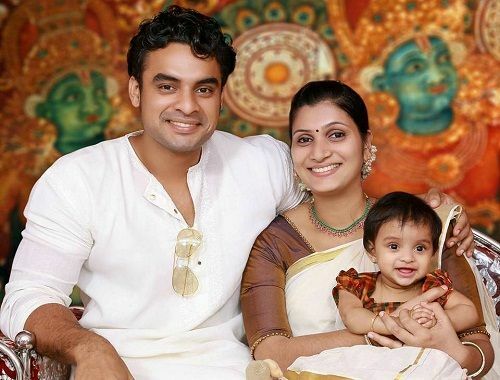 Tovino and Lidiya! They went to school together and started dating at 14. She was the one who initially encouraged him to try acting. 10 years later, just as his career was about to catch fire, they got married and had an adorable little girl. Nivin and Rinna Joy! They met in college and started dating, stayed together through college, through long distance during his first two years after college working as a computer engineer in Bangalore, and then stayed together when he decided to try his hand at acting. They got married when they were 26. That same year Nivin’s first movie came out and he signed 3 more. They now have two children. Dulquer and Amal! The first one that isn’t a love match. Back in 2011, right before his first movies released, Dulquer had an arranged marriage to the daughter of a wealthy businessman. It’s been 8 years now and they seem as happy as ever, and have a daughter. Shahid and Mira! Another arranged. She is 12 years younger than him, was a Delhi college student when their families decided to put them together. They talked for 6 hours at their first meeting and couldn’t stop thinking about each other, even though the age difference and experience difference made the whole idea seem crazy. Weeks after that first meeting, they were married. Juhi and Jay Mehta! She didn’t notice him at first, but he was just steadily there, sending her flowers and being kind all the time. 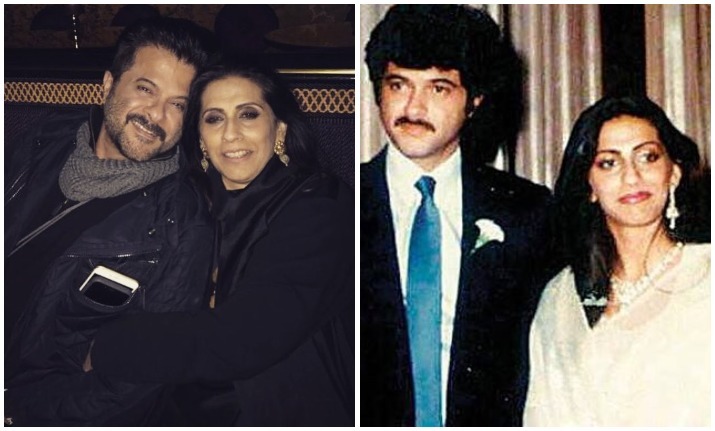 And he has stayed there for her through her many many personal tragedies (since they got together, Juhi lost her mother in a car accident, her sister to cancer, and her brother to a coma that finally ended after 4 years in death). Jay might have been able to understand her better with his own tragic history, his first wife died in a plane crash when he was 30. Preity Zinta and Mr. Goodenough! Preity spent years dating Ness Wadia, a wealthy and powerful Indian businessman. Their relationship ended suddenly, but they were still trapped by their shared ownership of a Cricket team. In 2014, Preity filed a case against Ness for harassing her during a cricket match and “an American” was mentioned as a supportive witness for Preity. That was the first we heard of Mr. Goodenough. Preity had met him in LA while visiting her brother and quietly kept up a transpacific relationship. They married in 2016, and he occasionally accompanies her to special events, but otherwise keeps himself to himself, and keeps up his LA life as head of finance for a power company. John and Priya! John dated Bipasha for almost ten years, since they both first became famous. They were a super couple, photographed everywhere. And then as their relationship was fading, he met Priya in a gym. Not famous and not interested in fame, a focused ambitious young banker on her way out of the country. Priya moved to America for a high powered finance job, but John didn’t lose track of her. After long distance dating for 3 years, almost invisible to the media, he calmly announced that they had gotten married. Priya still lives in America and pursues her own career, John does the commuting to make the relationship work. Anil and Sunita! When they met, he was a struggling aspiring actor, son of a small-time producer, and she was from a solid well-off family with her own steady career as a model. But it didn’t matter, they liked each other. She used to pay for their dates and even his cab fare when he came to pick her up. After 4 years of dating, the power shifted, now Anil was a popular young actor on the way up and everyone told him he was crazy to stick with the same old girlfriend. But he didn’t care, he married her anyway and within a year, Sonam arrived. It’s been 35 years now, they are still as in love as ever. Varun and Natasha! Another college romance. They have been together since before Varun’s first movie, but she was kept a deep dark secret until recently, protecting her from the public. Even now when they are photographed together at the occasional event, Varun is clear that Natasha is the one thing he will never talk about in interviews. Except to say that he plans to marry her one day. Vijay and Virginie! A lovely young Belgian woman who, in some unknown way, met and started dating our Telugu heartthrob Vijay. And now it is serious enough that the parents are meeting. Don’t these relationships just make you feel good about the world? This entry was posted in Uncategorized and tagged Couples, Madhuri Dixit, TGIF by mredlich21. Bookmark the permalink. I still hope the sitcom about Madhuri happens. Sri Rao – who wrote Baar Baar Dekho — has been developing a US sitcom based on Madhuri’s life as a housewife in Denver. Priyanka was attached to the project to star as the Madhuri character. And then all the Nick Jonas craziness happened. I think Bollywood star anonymous in the suburbs would be super fun. Oh that would be fantastic! And yes, Priyanka would be perfect in that part. OMG I would love to see this happen. Except maybe someone better than Priyanka. Hard to choose just one of all the pairs! But Madhuri and Dr. Nene, Preity Zinta and Mr. Goodenough (love her Instagram because it’s so personal and full of pictures of them both with family), Shahrukh and Gauri and Varun and Natasha are my favourite couples since I don’t know as much about the others. I felt so bad for Preity marrying (literally) “Mr. Goodenough”, but the years have won me over to them. He seems so game for whatever she wants. If you’re really going to make a distinction between “love” and “arranged”marriages, you should note that both Madhuri and Juhi had arranged marriages. 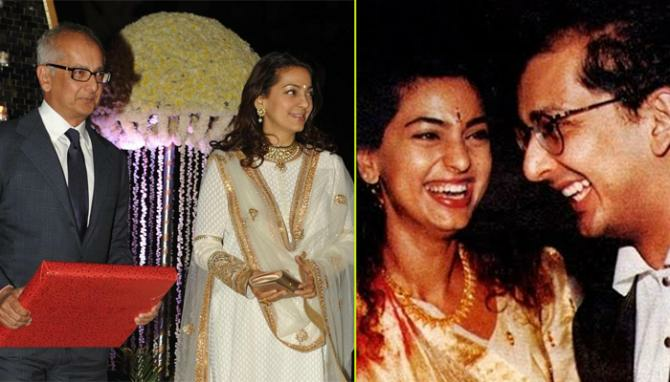 In fact, marrying Jay Mehta was Juhi’s mother’s last wish before she died, as related by Juhi herself. Aargh! Sorry, I keep forgetting to log in. What is the procedure to stay logged in, as before? It seems to just not be working any more! I’m having similar problems with WordPress since their last update on the creator side, for instance my picture gallery is acting very weird. The best I can suggest is to just get in the habit of logging in every time you comment since it doesn’t seem to store logins at all. Still weirded out a lot by Mira and Shahid. Ew! But everyone else is super adorable!Thoughts on adding Sonam and Anand to the list? I know their marriage is not even a year old, but they are just so adorable and I love the way they support one another. Yes. I’m not sure if they belong to this list, because they are like the opposite of Jennifer and Shashi. I couldn’t decide if Anand counted as a public figure or not, since he had his instragram and all that before he became “Mr. Sonam Kapoor”. That’s why I left them off. And I join you in also still be weirded out by Mira and Shahid! Vijay and Virginie – I love this pair and I’m super excited for them. Other I like very much: Preity, Nivin, and Tovino of course. Madhavan looks like he is working on The wedding singer remake. I don’t know who did this to his har, but that person should be in jail. I can’t seem to find a photo where both he and his wife look good! Sometimes there are couples like that. OMG! Just remembered that there is a Netflix show called Final Table–they “travel” to 9 countries and globally recognized chefs compete to make signature dishes of that country. In each country they have one or 2 foodie judges, and one or two celebrity judges. The celebrity judge from India was Maddy! So cute! The foodie judge from India had won “best woman chef in India” at some point and seemed pretty cool. The other celebrity judge was Hasan Minhaj, which I felt was cheating a bit. My favorite couple is Madhuri and Dr. Nene. Just because they are so fun and natural together in public. Shah Rukh and Gauri are stunning, but their relationship feels like such a private thing, I can never get a read on it. Which is fine, because it’s none of my beeswax anyway. Juhi and Jay are also lovely together. I’d watch the heck out of that Madhuri sitcom. I’ve been keeping my fingers crossed that it still happens! Not gonna lie but Shahid and Mira kind of creep me out. An arranged marriage with someone 13 years younger than you? Whaaa? Anyway, I think these marriages where one person is not famous or from a famous family tend to be the more stable ones. If nothing else, it’s a lot easier to coordinate things. The schedule of a movie star really can’t compare with anyone else. Even if the spouse has their own serious career like Priya or Mr. Goodenough, they can still take advantage of the way their careers are more of an every day thing and the stars are hectic for weeks at a time and then they can take big breaks. Are we still counting Gauri Khan as non famous?I think the difference between spouses like Gauri,Nene,Mira Rajput etc on one hand and those like Jai Mehta,Natasha Dalal,John’s Priya on the other is that the former is now almost as famous as their spouses courtesy the reflected glory while the latter set keeps a really low profile and seems to be a distinct person.Not judging,just observing. Tapsee apparently is in a relationship with an Olympics silver medalist batmindon player for few years now. Google tells me his name is Mathias Boe.Talk about low profile,high achiever spouse. I was debating that, because they all started out as non-famous. And then some of them became well-known in their own right, and some stayed invisible. Like, Emraan Hashmi’s wife, I couldn’t even recognize her on the street. Mostly it was just that I wanted spouses with photos and cute stories so I threw everyone in together. If Taapsee is dating a Badminton guy, now I really want them to become best couple friends with Ranveer and Dips. 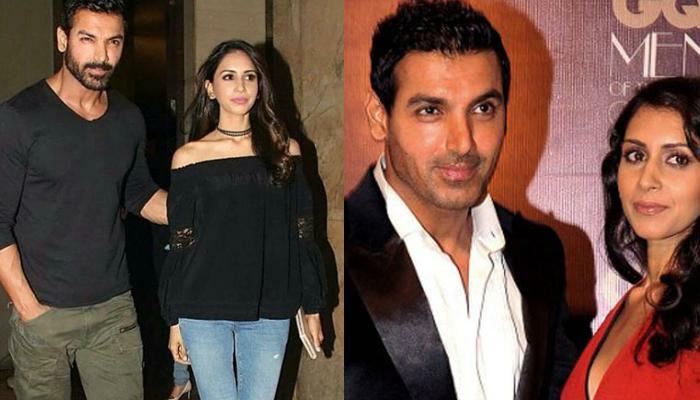 That story about Maddy and his wife is adorable, And John Abraham! He went for the independent career gal, good on him. Tovino’s baby leaves me squeeing every time I see her. And poor Bips! She and John were together for 9 years, they met Priya at the gym as a couple, they broke up, suddenly John is dating Priya and then engaged within a couple of years after stringing Bips along for almost a decade. No judgement on John and Priya, it can happen like that without anyone doing anything wrong. But still, poor Bips! Mira and I are of the same age – I’m a child woman who is still studying and can’t even fathom the thought of marriage right now, let alone kids. Not just married with two babies, but married to a movie star and immediately global famous! Also, THIS should be the TV show!!!! The average college girl who had the whirlwind romance with the movie star and then is thrust into the limelight. Engagement at the end of the pilot, wedding at the end of the first season, baby is born at the end of the next season, and so on and so forth. Episode plots revolve around Shahid struggling to get in character for a new movie, Mira having a dress disaster before her first award show, and so on. And there can be Shahid’s humorous dramatic mother, and Mira’s old best friend from college, to fill out the central characters.